Mono and Stereo High-End Audio Magazine: QLN IS BACK! Qln started in 1977 and were from the early 80’s active in Europe, North America and the Far East. The years 2003-2012 the Qln brand was owned by another company making (inferior China produced) products with the QLN brand. Since 2013 the Qln brand is now back with the original speaker designer and since a couple of years Qln are producing an updated version of the ”cult” speaker from the 80’s, the unique product that once made Qln a respected name worldwide. 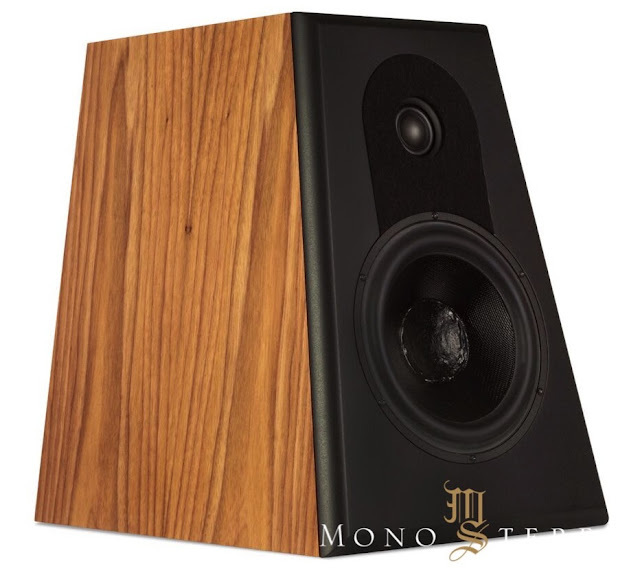 The Qln Signature 3 is Incorporating over three decades of speaker research, development, design and construction. It carries the legacy of a timeless combination of form and performance re-engineered to provide an unprecedented high-end compact 2-way audio transducer. With truly enticing audio reproduction without any impediment or compromise, the Signature 3 is form and performance in perfect symbiosis and harmony. The Qln Prestige One is sharing the same basic DNA as the iconic Qln Signature speaker. Many of the key elements have been borrowed from the Signature model, like choice of material and technical solutions. The big challenge has been to simplify without losing the key elements. Later this year Qln will introduce a floor standing model, a further development of the Signature 3.